Now that I've returned to work my days off are much less relaxing than they were a year ago but, surprisingly, more relaxing than a few months ago. While feeding, changing, rocking, and burping babies is a lot of work it is much more satisfying than painting, building, moving, and buying things for the babies' room. The room that we have really not used as of yet. Jen had an ambitious idea tonight: have dinner outside with the babies. Normally they just lie in their crib and oddly flip around and duplicate the position of the other. While dinner outside has always been something of a chore involving the carting of lots of ingredients and dishes out to the back of the house, the addition of carting the babies seemed a bit daunting but once in their car seats (a process they still hate) they were able to "join" us for dinner. This means they slept in their seats while we ate. 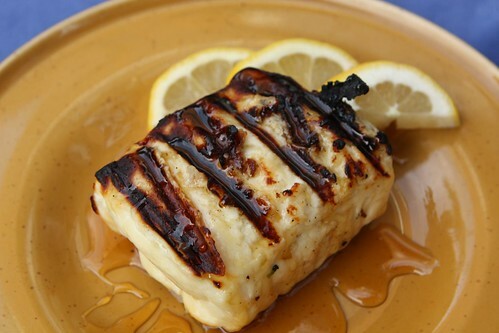 We started out with some grilled halloumi, honey, and lemon, served up with grilled sliced Italian bread. I took some leftover spaghetti and tossed it with wilted beet greens, and chopped garlic. 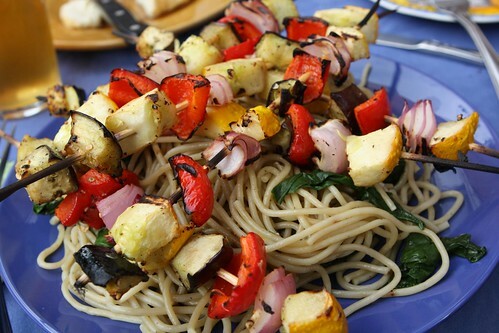 Over the topped I served grilled vegetable skewers with squash, eggplant, red pepper, onion, and garlic. 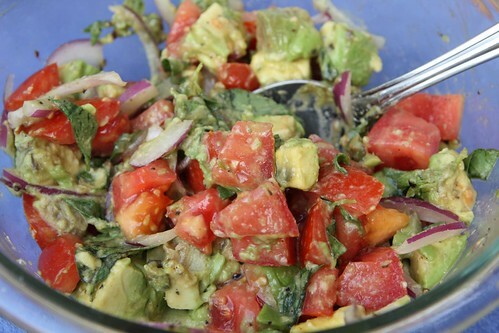 I also made a salad with field tomatoes, avocado, red onion, olive oil, salt, pepper, and lemon basil from the farm. For beer Jen enjoyed the remainder of the Sorachi Ace from last night, a beer right up her alley. 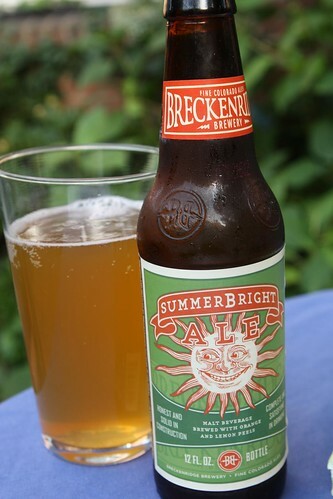 I had this Breckenridge Brewery in Colorado. This was a very nice summer beer but it's hard to follow up the Sorachi Ace. 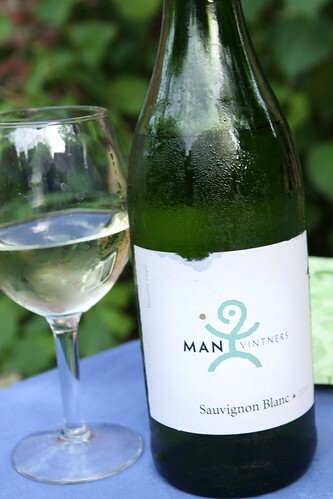 For Jen's mum I poured this 2011 Sauvignon Blanc from MAN Vintners. I also enjoyed a finger or two after dinner as we enjoyed a little time in the fresh air, a rare luxury these days. After dinner it was time to give the babies their first real bath. This was like some sort of grotesque horror show. The guys just flopped around in the foam baby bath in the sink, occasionally curling up in one corner and looking up at us like wounded, terrified little animals. It's really hard to put such tiny little guys through so much grief even when you know it is the right thing. Pretty much every step of having babies so far is only made easier to live with knowing they'll have no memory of it when they grow older. It must be really scary when they get old enough that you can't fall back on that simple fact. After his bath, Elliott calmed down pretty quickly. Martin, on the other hand, still looked at me with a murderous rage in his eyes. "One day, Daddy. One day you will pay for what happened here today!"